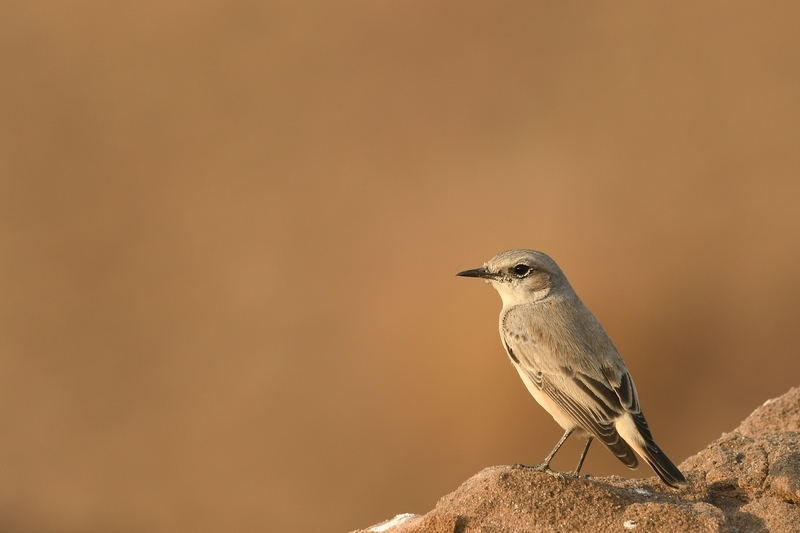 Came across a pair of these Red-tailed Wheatears in the rocky areas of the Banni grasslands in the Greater Rann. Banni grasslands is an arid grassland ecosystem on the outer southern edge of the marshy salt flats of Rann of Kutch. As per Wikipedia – “The word ‘Banni’ comes from Hindi and Sanskrit word ‘banai’, meaning made. The land here was formed from the sediments that were deposited by the Indus and other rivers over thousands of years. Old villagers from this region say that before the 1819 Rann of Kutch earthquake, the river Indus flowed right through banni and the local farmers reaped a rich harvest of crops like red rice and sindhi chookha etc., red rice was the staple diet of the people of the region and it was even recommended by medical practitioners as a ‘light diet’ for ailing people. However, since the earthquake of 1819 the river Indus changed its course and now flows through Sindh in neighbouring country of Pakistan effectively turning this entire region arid.” – I didn’t know this, interesting. This wheatear is quite a drab bird, mainly grey-brown above with greyish-white underparts. It has a faint pale stripe over the eye with a rufous tinge to the ear-coverts. The red-tail is not quite easy to make out till it flies. They loved perching up on the rocks but I was looking for an image that has the rocky-background in this lovely golden light of the late evening sun. Eventually one of them obliged by choosing a perch that was not as quite high above.